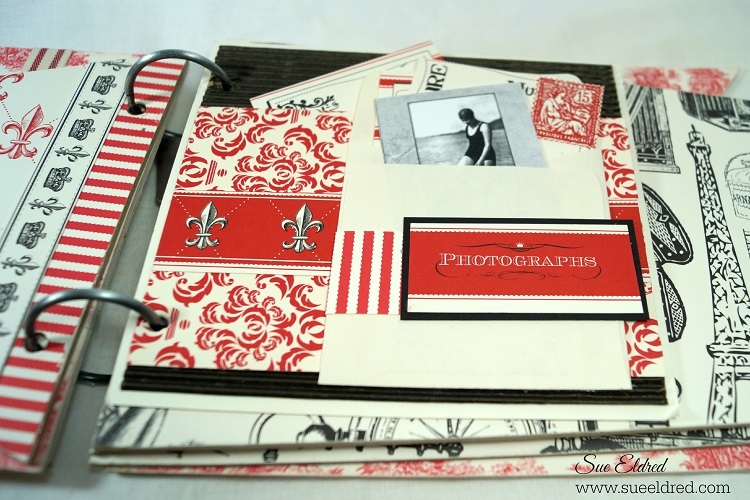 covered with various scrapbook paper. 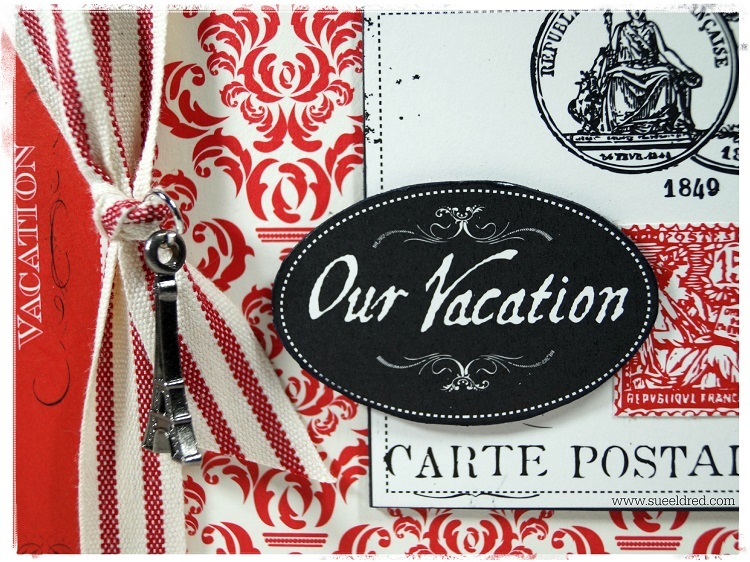 To make “Our Vacation” stand out, I glued the words from the scrapbook paper onto a piece of chipboard and cut around the oval. I used black ink around the edges of the chipboard. I did the same with the “Carte Postale”. This gives the album dimension and added interest. 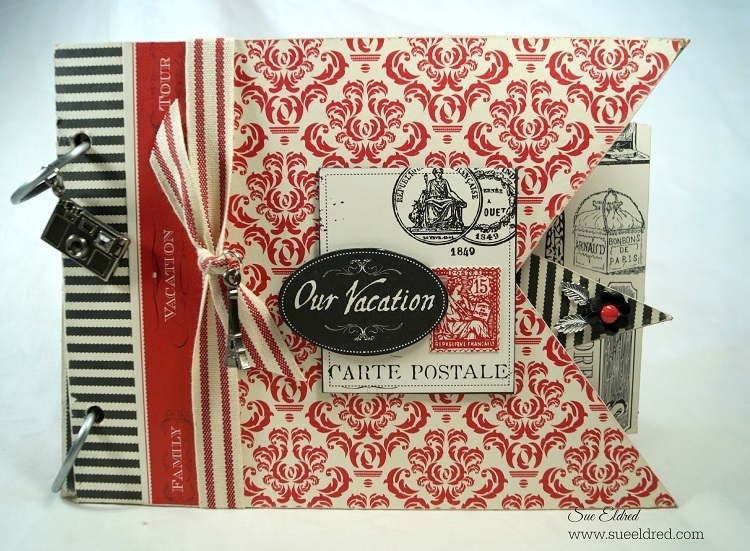 I love using the Paris Charms and simply tied the Eiffel Tower (with added jump ring) onto the ribbon. I created an extra page for the book using a black fluted paper and cardstock. 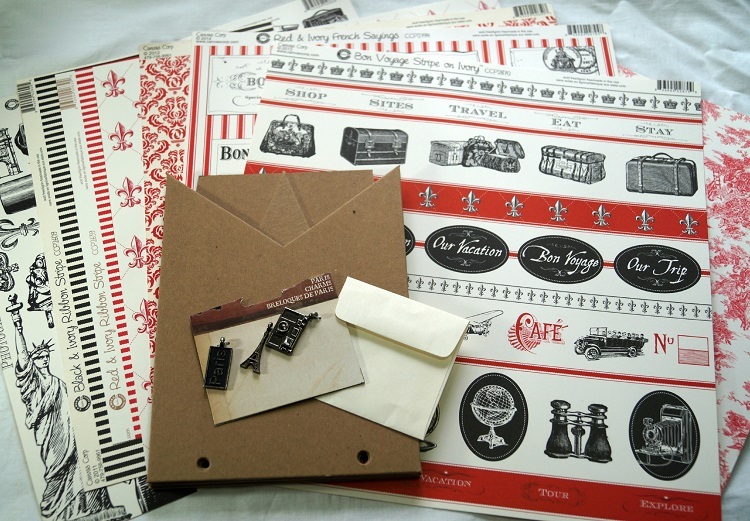 I decorated the page with additional paper, cut outs and a cute little 3″ x 3″ cream envelope. The bathing beauty comes from the American Vintage: Vintage Photo’s pack. Thank You Ilana, I appreciate you taking the time to comment.